Each month, our Editor-at-Large and Paris resident, Leah Walker, is opening her French address book. She’ll share the latest, greatest, little known, classic and up-and-coming finds focused on her adopted home country. 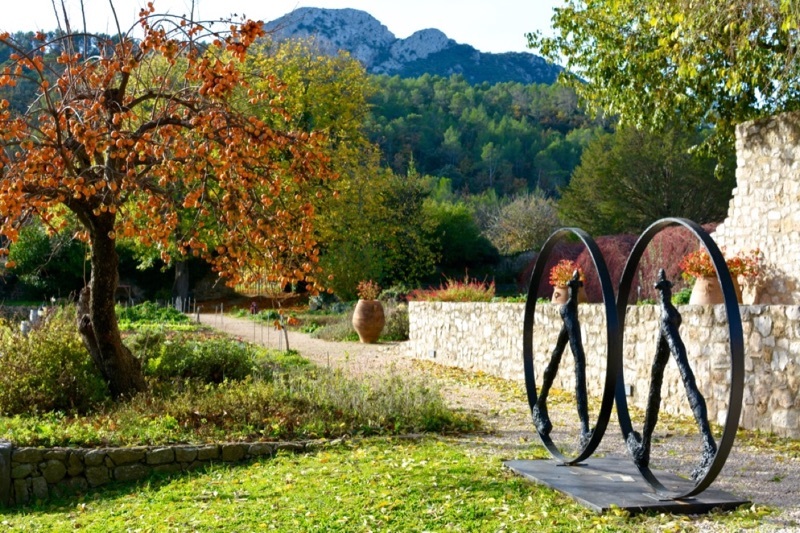 Located in La Celle-en-Provence, a small town west of Marseilles, is L’Hostellerie de l’Abbaye de la Celle. Owned by the renowned chef and restaurateur, Alain Ducasse, this boutique hotel is a member of Châteaux & Hôtels Collection. 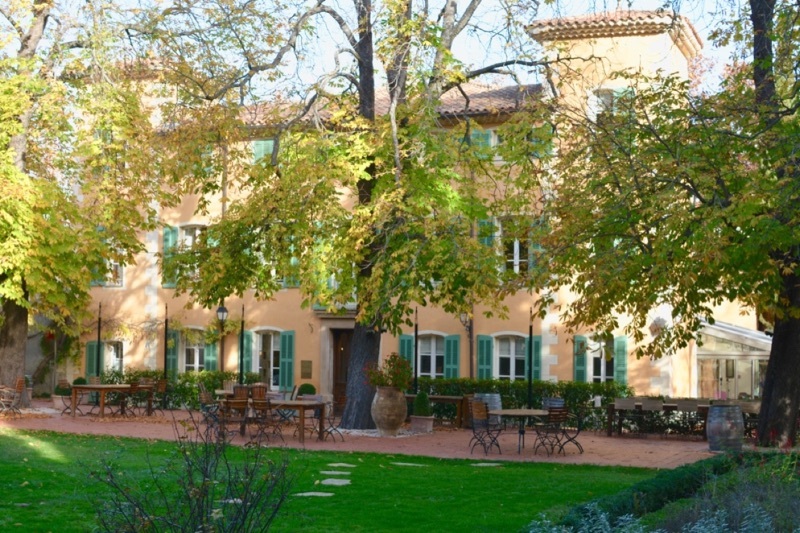 L’Hostellerie de l’Abbaye de la Celle sits next to a 12th century Benedictine abbey and was opened by Ducasse in 1999. Terracotta colored with pretty green shutters, the main house was restored to its 18th century grandeur. 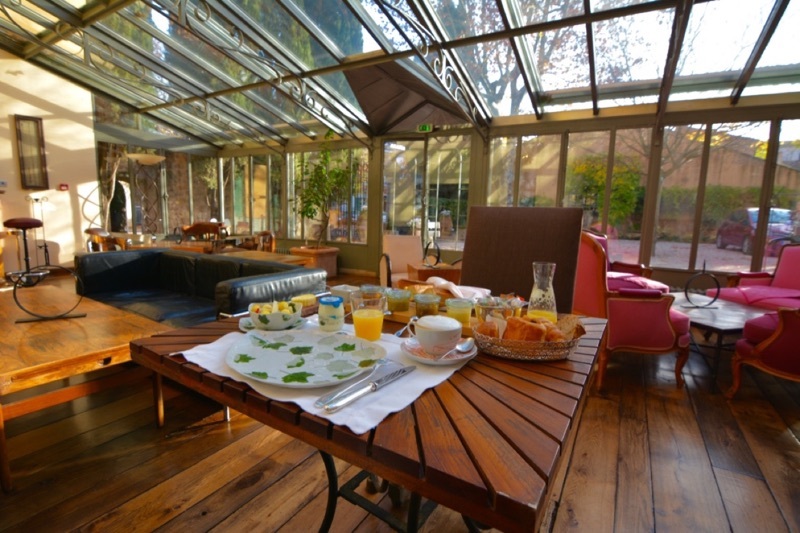 The five-star hotel has retained its ‘homey’ feeling and even has handpicked antiques from Ducasse himself. With a storied history, the hotel played host on several occasions to Charles de Gaulle; one room bears a dedication plaque in his honor, while another has the bed in which the famous general slept. As an ode to the abbey on property, each room is named after a famous nun. The main house features spacious suites and attic rooms that are equipped with the most modern conveniences, yet still maintain much of the original architecture and character. No two rooms are alike and are decorated with unique pieces of art and antiques. The junior suites in the Beguinage, which is the annex of the main house, have private gardens and overlook the Coteaux Varois vineyard that is part of the three-hectare property. One thing that I’m consistently amazed by is the variety of wines and spirits found in France. Throughout my travels, I always look for the unique libations created in villages and cities alike. Just like so many things in France, alcohol is often unique to a region and relies on the most readily available ingredients. 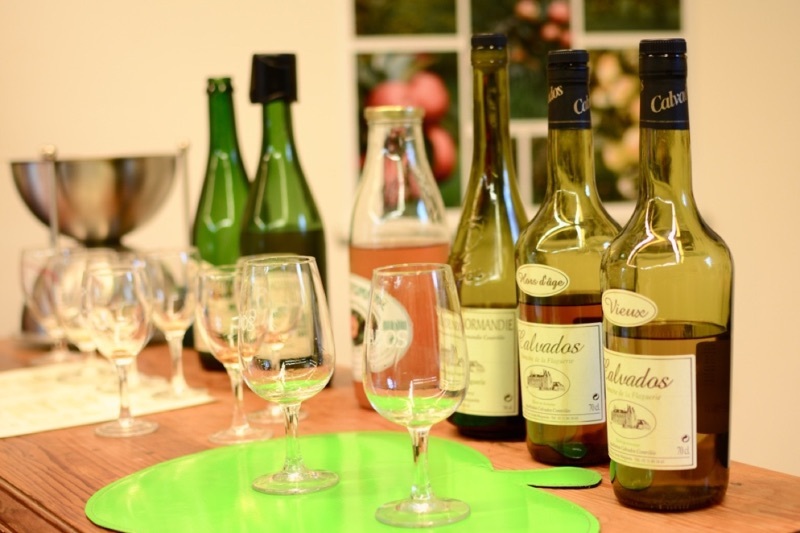 One of my favorite original spirits from France is Calvados. 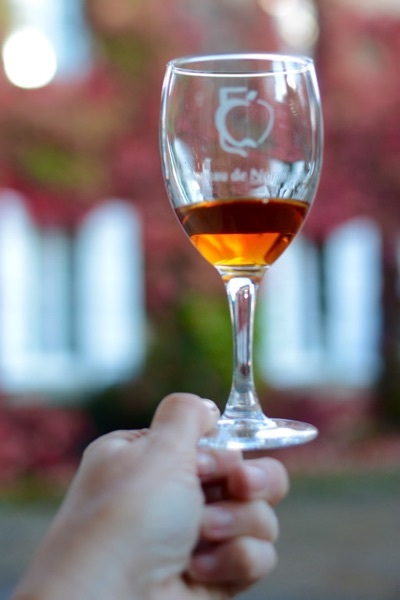 This AOC (appellation d’origine controlee) brandy is made in Normandy using fruit from the region’s nine million apple trees. The strong spirit is made by pressing apples into cider, then distilling and aging in oak barrels. 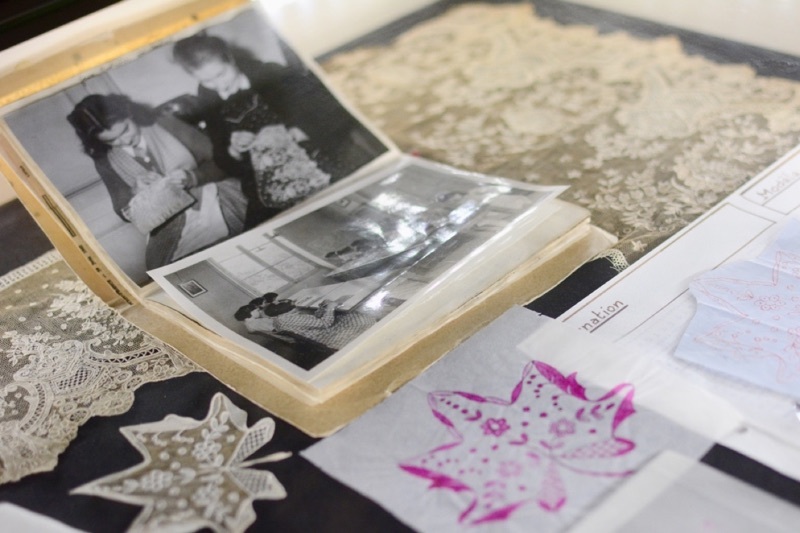 Alençon isn’t on most visitors’ itineraries, but the town in Lower Normandy has a long history, especially when it comes to lace. 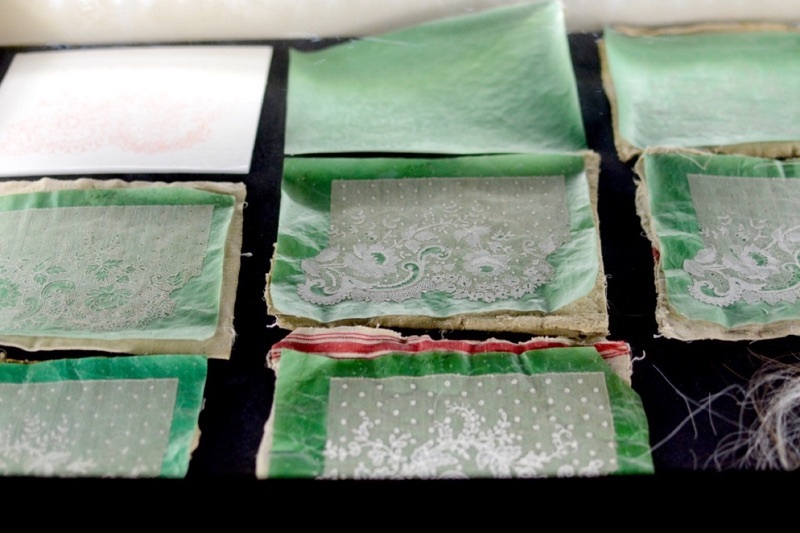 Dating to the 17th century, lace has been handmade in the town, even developing its own intricate, 10-step technique known as Point d’Alencon. Tired of seeing French money going to Venice for much sought after lace, Louis XIV created Atelier National du Point d’Alencon, which is still in existence today. It is managed by the Ministry of Culture to keep the lace making tradition alive. Eight years of training is needed to master the technique and 25 hours of work to complete a piece the size of a stamp. UNESCO has even classified lace in Alençon. 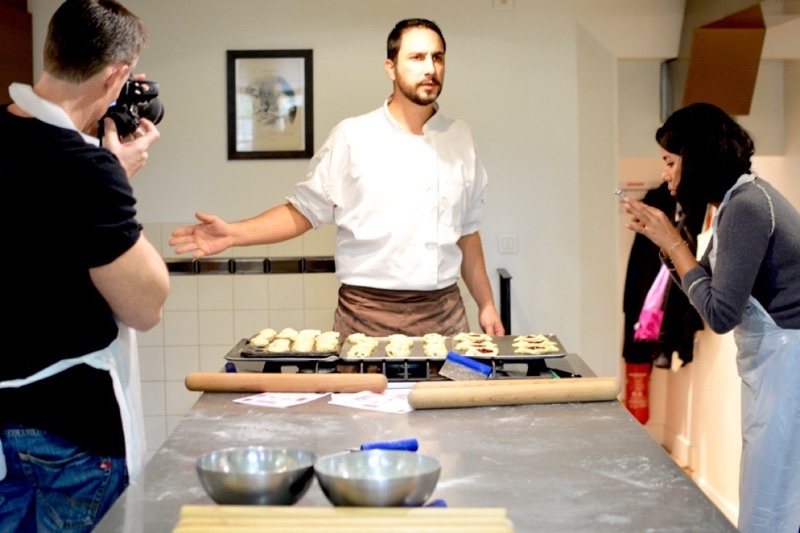 There is no better way to learn about French culture than through the food. More than simply sustenance, dining in France is an occasion that is revered and savored. Even the most humble baguette and piece of cheese is cause for discussion. Undeniably, the French love their food more than most. 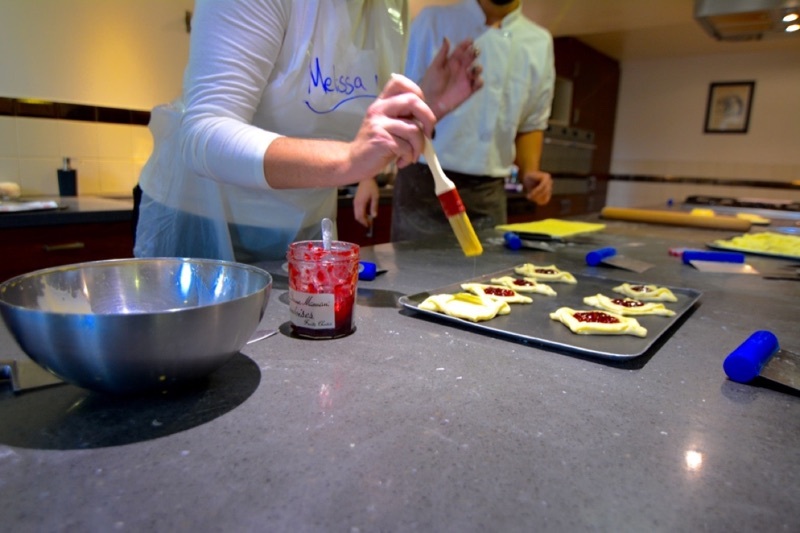 I’ve taken a number of cooking and baking classes around the world, and although none of this new knowledge actually translates to my kitchen, I do learn to appreciate the thought, techniques and traditions behind a country’s culinary offerings. Take for instance the croissant. 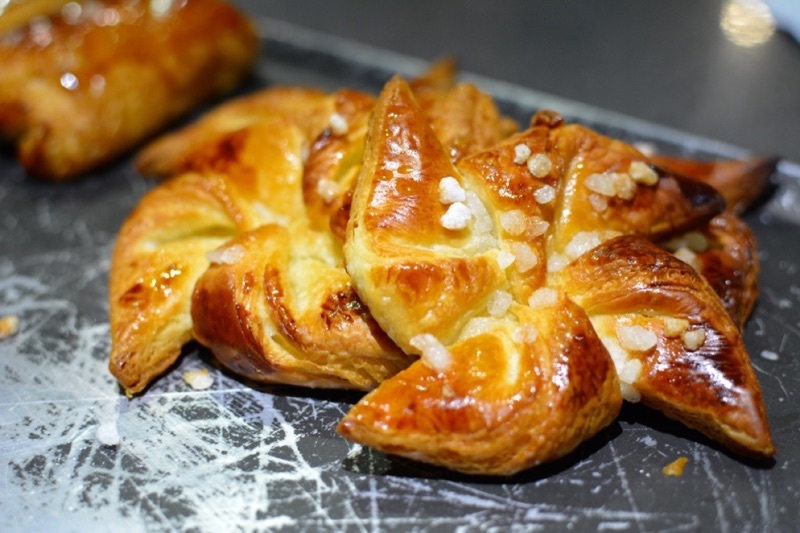 There’s not a day in Paris that doesn’t begin with a flaky, buttery croissant, but how are they made? I decided to find out for myself at La Cuisine. 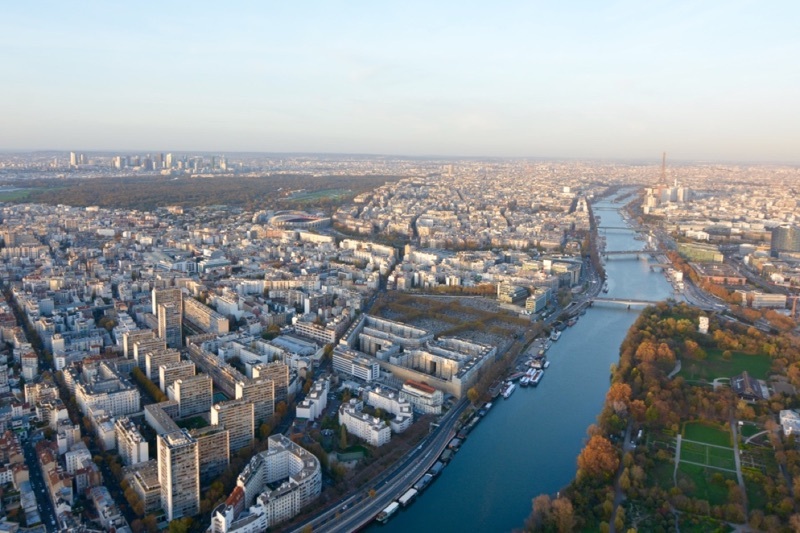 Getting a bird’s eye view of Paris isn’t easy. Sacré-Cœur, Montparnasse Tower and the Arc de Triomphe are just a few of the places to see the city from a higher elevation. To get a true feel for the scope of the City of Light, climb aboard a helicopter with HeliPass. 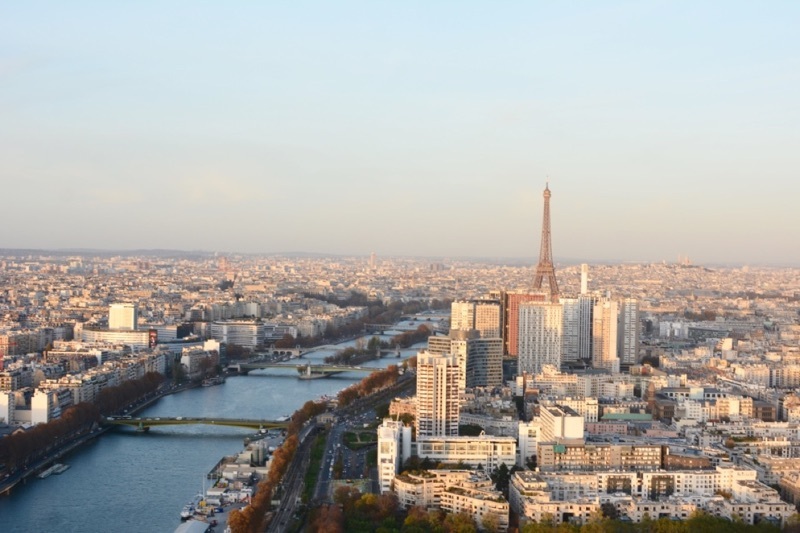 Departing from the 15th arrondissement in the southwest part of Paris, you’ll be whisked away in a six-passenger Ecureuil helicopter for a 90-minute experience. 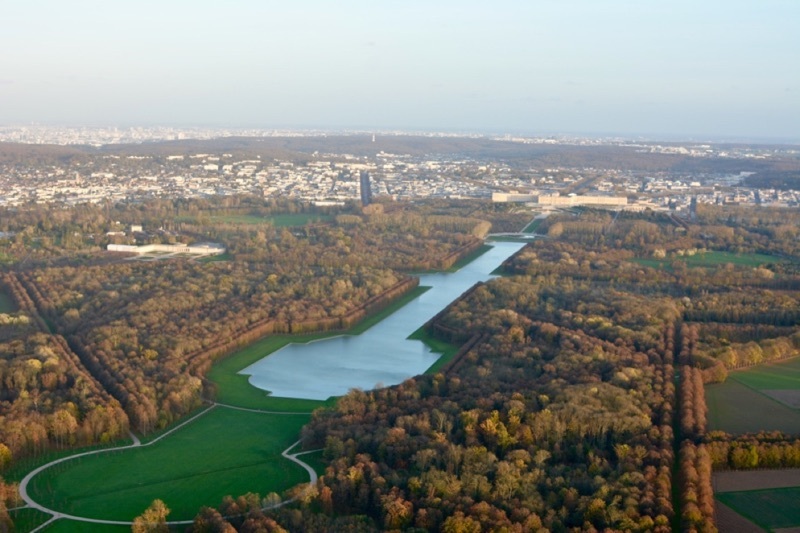 The first leg flies toward Versailles, where you’ll see Parc des Princes, Bois de Boulogne, the Longchamp hippodrome and Parc de Saint-Cloud from above. Of course, a trip to Versailles isn’t complete without a glimpse of Château de Versailles and the Roi Soleil’s gardens, whose grandeur can only truly be appreciated from the air. A brief stop at Saint-Cyr l’Ecole gives guests the opportunity to take photos and talk to the pilot before taking off for the second leg. 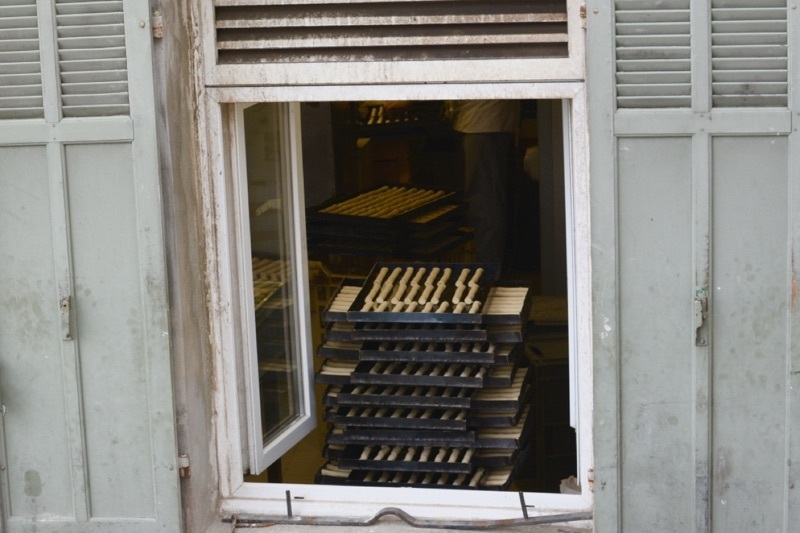 Navettes and the southern French city of Marseilles are synonymous. 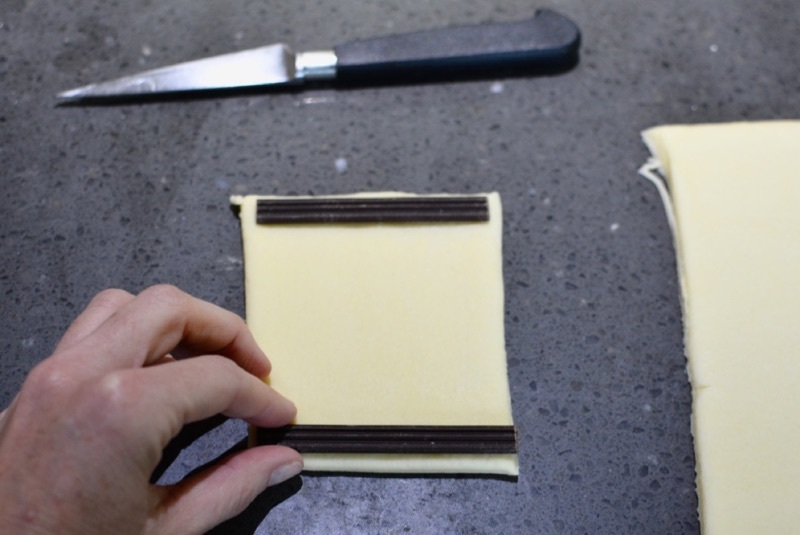 The beloved specialty is a long, narrow biscuit baked in the shape of a boat (navette in French). Created to commemorate the arrival of three Marys (the Virgin, Salomé and Magdalen) to Provence around 2,000 years ago, the orange blossom-scented biscuits are made without yeast and can be kept for up to a year. 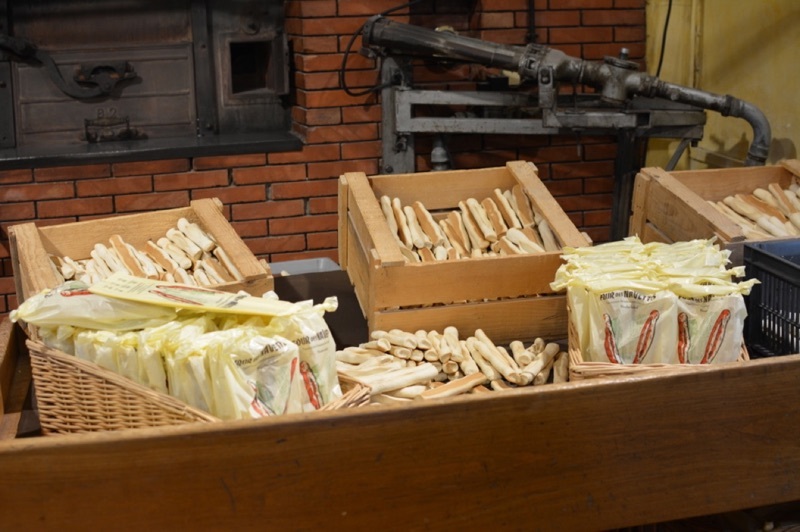 Crisp on the outside and soft on the inside, navettes are most popular on February 2, which is the Fête de la Chandeleur (Candlemas procession). I sat down with Roderick Levéjac, the Chief Concierge at Four Seasons George V in Paris, for insight on some of his favorite things from the City of Light. Leah Walker: What restaurant would you choose for a special dinner? Roderick Levéjac: I’m into solid values. I don’t venture too often to new places. I want to make sure my special evening will be up to what I expect, so I’d go to Taillevent. It’s one of my favorite places and very famous for its wine selection. It’s a classic place in Paris, although it has been renovated. It’s one of those places that if you go in ten or twenty years from now it’s always the same. This is what I like. Besides the food itself, it’s the atmosphere. It’s the décor. It’s the service, which is always friendly. Taillevent, along with Le Pré Catelan, which is in Bois de Boulogne, are my favorites. I’ve known the manager there for many years. The décor is patterned after the 1900s, but it’s been refurbished five or six years ago by the same designer we have at George V. It’s just spectacular and the food is outstanding. I like to go places that make you feel at home and know you. They know your taste, like if you take two coffees or one. They know every single detail. If it’s a special evening, I would expect not only recognition, but special touches. LW: What is an ideal Saturday in Paris for you? RL: When the weather is nice, I would go to the flea markets in Saint Ouen in the morning. It’s rather packed in the afternoon, but in the morning it’s quiet. 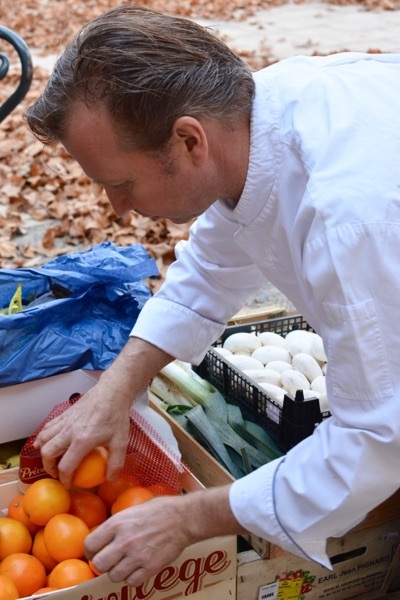 I like Le Bistrot Paul Bert in Marche Paul Bert. In fact, I take my guests there once a month for breakfast, but I also go on my own. It’s a place that many people wouldn’t go on a first trip to Paris, but it’s a real Parisian atmosphere. Then, I would go to the islands for lunch– Île de la Cité and Île Saint-Louis—and walk around the Marais. In the evening, I’d like to go to Abbesses in Montmartre. It’s really changed to a very lively area, filled with cafes and terraces. For dinner, I’d go to Le Coq Rico. LW: What classic Parisian experience never goes out of style, even for Parisians? RL: I take a boat along the Seine three or four times per year. In fact, I organize a special cruise on the river for July 14 (Bastille Day). I rent a boat and take about 80-100 guests. We are all dressed up in Revolution attire. We do a tour around the city on the upper deck, then park the boat by the Eiffel Tower and have dinner. After, we return to the upper deck for the fireworks. I was born in this city, and it’s something I do many times per year in different ways. Honestly, on each cruise I see new things, even after so many years, whether it’s a building or a window. If you take out the Arc de Triomphe, Opéra and Sacré-Cœur, most everything else is built along the river. And the most magical part of the Seine is by Notre Dame. LW: What is your favorite café in the city? LW: What’s trendy in Paris now? RL: The trend in restaurants is all these little places opening here and there. The cocktail bars are a trend now. What I’m really seeing now is the trend on the Left Bank since they closed some of the traffic. More of the Parisian people are going there for drinks after work. It’s quite interesting because it’s changing very fast. I think it’s going to be more and more happening, especially along the bank of the river. As Editor-at-Large for Luxe Beat, Leah Walker is a luxury travel and culinary writer who also has contributor and editor roles with The Daily Meal, Bonjour Paris, The Daily Basics, Forbes Travel Guide, as well as her award-winning site, LeahTravels.com. A devout Francophile, she's also a travel ambassador for Atout France. Having split time between Texas and the rest of the world, Leah is now living in Paris after being awarded the three-year Compétences et Talents visa, though her talents don't extend to speaking French. Yet.